A 49 year-old man has died following a road crash on Main Street in Cambuslang on Friday 5 January 2018. The incident happened at around 4:15pm. 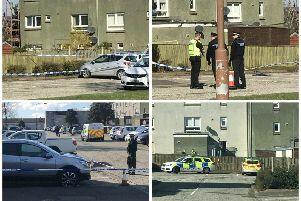 The 49 year-old man was driving a white BMW 1000 RR motorcycle westbound on Main Street, Cambuslang, near to the junction with Beech Avenue when he collided with an orange coloured Vauxhall Adam. Emergency services attended, however the 49 year-old man was pronounced dead at the scene. The driver of the Vauxhall Adam was uninjured. The road was closed for around six hours whilst investigations were carried out. Anyone with information should contact Motherwell Road Policing Unit via 101, quoting reference number 2265 of Friday 5 January 2018. Alternatively you can contact CRIMESTOPPERS on 0800 555 111 where information can be given anonymously.